After last month’s »Busted Moniker« EP from Quarion, Retreat is thrilled to announce a new 12″ courtesy of house music’s most energetic duo, the incomparable Session Victim! The aptly titled »Two Man House Band EP« is the lads’ first record since their 2014 magnum Opus »See You When You Get There« and perfectly transcribes the energy that Session Victim pour into their incendiary live show. Tailormade for a night out in the club or a joyous day at the festival, the »Two Man House Band EP« once again prooves that Session Victim are unstoppable in their pursuit of the ultimate groove! Flip the record in order to dive into the deeper realms of »Black Cream«, a more reflective track for the late hours. With its jazzy (almost broken) beat, guitar licks, rhodes pads, subtle percussion and ethereal vocals, »Black Cream« is the soundtrack to an exciting underwater trip with Matthias and Hauke at the controls. Thanks to the captains’ lively drum programming, the track flows effortlessly and we’re treated with many surprises along the way before a gradual rise brings us back to the surface. 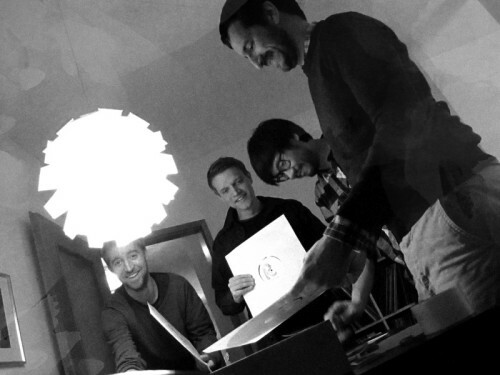 »Finderlohn« is a smokey downtempo workout which finds Session Victim digging deep in their collection to demonstrate their prowess in manipulating samples. Beginning with an instanly classic guitar and piano loop, »Finderlohn« allows a shuffly breakbeat to take center stage, sometimes reinforced with double-time hihats for a more dramatic effect. The tune is definitely a headnodder’s paradise and the listener is taken that little bit higher thanks to a mystical flute solo that concludes »Finderlohn« in a psychedelic way. 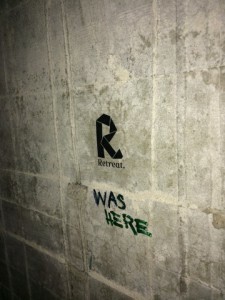 The ambient introduction “Lost Coordinates” represents a direct follow-up to Quarion’s offering on the “Treats Vol.5” Compilation. Built around a circular four note theme, white noise percussion and a distant choir, “Lost Coordinates” evokes a ghost spaceship that is drifting through the void, his destination unknown and his point of origin long forgotten. “Burnin'” is maybe the EPs hottest track (all puns intended) and is sure to light fires on dancefloors all over. Beginning with a deep bassline atop a shuffled beat, the groove becomes irresistible as soon as the cheeky vocal samples arrive, but it’s the entrance of an infectious and offbeat Rhodes loop that is sure to make the dancers go crazy. As the track gets stronger, the theme breaks down in descending chords and we’re left with just the kick drum and a percussive noise. The loop soon emerges anew from the background now coupled with a phased cymbal for one more everlasting burn… Ouch! « The Rise And Fall Of Retreat »: what appears to be the title of a cheap gangster movie is actually the script that Hauke and I seemed to have unknowingly followed in 2014. So for the first time in the label’s history, we took its name literally and folded back. Retreat moved away from the spotlight in order to heal and calmly prepare the next move. 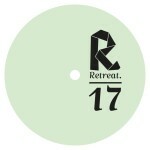 Thus after consolidating our relationship with a new distributor (Word And Sound), sanitizing our finances and most importantly spending countless hours in the studio, Hauke and I are thrilled to announce that Retreat will be back in the summer of 2015 with the help of not one but two releases! 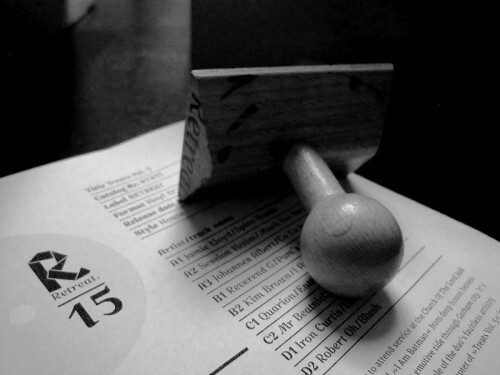 RTR16 by Quarion will be available in July while RTR17 by Session Victim is expected to drop mid-august. As you can imagine, there are still a few details to finalize but we thought it was important to get back in touch with all of you and announce that Retreat will be introducing year n°6 with a double summer slam! More information to follow of course but in the meantime, thank you for your support and please stay tuned! 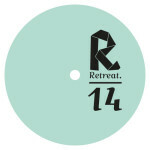 Retreat celebrates its fifth birthday with a very special edition of the infamous »Treats« series! Volume 5 is the label’s first double vinyl in a carefully designed gatefold sleeve and features exclusive music from all the Retreat regulars as well as exciting new guests: Session Victim, Quarion, Iron Curtis, Mr Beatnick, Kim Brown, Jamie Lloyd and many more. »Treats Vol. 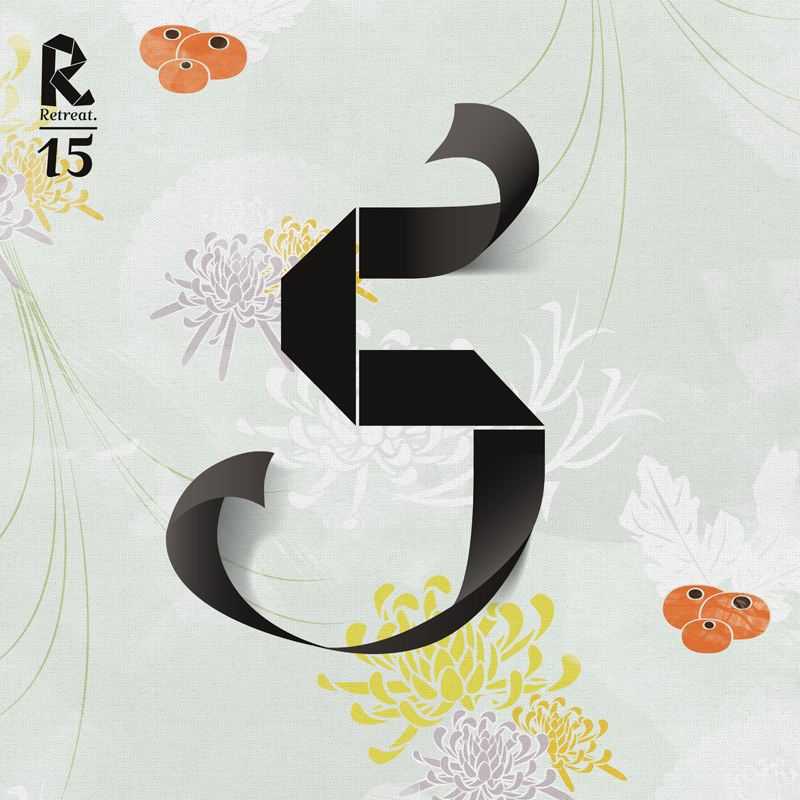 5« is a fantastic collection of tracks that stands on its own as a compilation while offering some of the most heartfelt House music for 2014 and beyond. »Treats Vol. 5« begins with Jamie Lloyd’s »Spiro Hustle«, a slo-mo burner that will definitely put this talented Australian native back in the limelight after a few years of radio silence. Retreat’s hottest property, Session Victim, are next up to bat with the dancefloor-approved »Much Too Strong« which sees them experimenting with percussive instruments while keeping their funk firmly in the pocket. The back-to-basics rawness of »Co Co Jam Boo« from Frank Music’s Johannes Albert closes the A-side with a bassline that will stay in your head long after the needle hits the run-out groove. Flip the record over for Reverend G’s »Pam’s Cleavage«. The secretive priest is on a mission to save lost souls and his jazz-fueled dancefloor offering should motivate everyone to attend service at the Church Of The Lord Jack in Neukölln! »I Am Batman« from deep house heroes Kim Brown is an emotive ride through Gotham city. It’s another fine example of the duo’s faultless artistry and closes the first chapter of »Treats Vol. 5« in a delightful way. Quarion introduces Retreat’s first ever C-Side with »Enter Coordinates«, a bass-heavy yet uplifting track that promises to reach the confines of the galaxy with the help of gorgeous chords and a freaky arpeggio. Mr Beatnick follows up with the acid-tainted »Hold On To Your Dreams«. The London producer is a master of aural story-telling and his Retreat contribution makes for an unforgettable trip through multiple music genres. Iron Curtis is up next: »Love Commitment« is a very strong House track where tension and relief are perfectly dosed within an unmistakable groove. Another stellar achievement from Retreat’s most extravagant artist! The D-side ends with the reflective (but neck-snapping) »Blush« from Giegling cohort Robert Oh. This melancholic hip-Hop instrumental is still as catchy as it gets and represents the ideal conclusion to »Treats Vol. 5«. 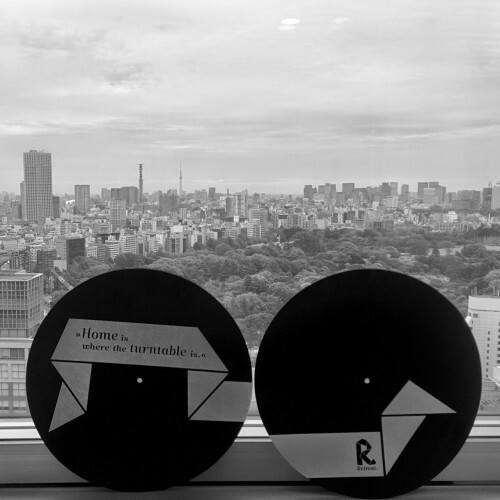 Unbelievable, it seems as if it was only a few months ago that Hauke and I came up with the idea of creating a vinyl-only label. It was in the first days of 2009 and we were having brunch at Bâteau Ivre… flash-forward to 2014 and Retreat is officially 5 years old! So we’re terribly excited to announce that our birthday present will take the form of a double 12“ named „Treats Volume 5“! 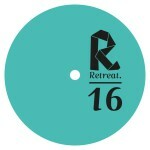 RTR15 will feature exclusive cuts from the usual Retreat stable (Session Victim, Quarion and Iron Curtis) as well as new music from artists who, through the years, became part of our extended family: Jamie Lloyd, Kim Brown, Johannes Albert, Mr Beatnick, Roberto and the mysterious Reverend G. We won’t reveal more information for now but rest assured that the quality of the music will be up to par with the other “Treats” episodes, if not better! And because such an anniversary only happens once, we made sure our celebrated designer Gesine Todt enjoys a big piece of the cake as well: the compilation will boast a full cover Artwork which will be presented in a gatefold sleeve with liner notes and photos. We’re planning to have the records available in the shops for the middle of April but we’ll get back to you with an official release date soon! 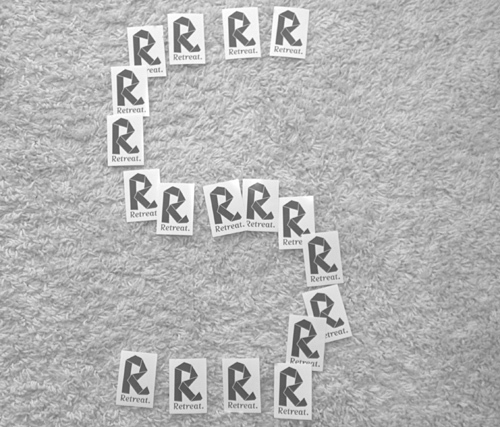 On top of that, you’ll be able to catch the Retreat crew on the road between April and May for a special „5 Year Anniversary tour“. So far, performances in London, Berlin, Zürich and Paris are confirmed with Session Victim and Quarion on the bill, plus Iron Curtis on selected gigs. There are still some dates available so get in touch with David and Elie if you are interested to bring the Retreat Soundsystem to your town! Thank you for keeping vinyl culture alive and please stay tuned!